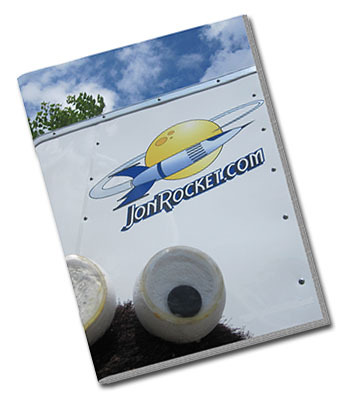 You can now download our JonRocket.com catalog in PDF format so you can read it offline or print it. The PDF catalog is automatically generated from our online catalog each day and reflects our current inventory and prices. Adobe’s Acrobat Reader is required to view or print the catalog. This entry was posted in Web Site and tagged catalog, download, pdf by Roger. Bookmark the permalink. I have a Blue Ninja that a young friend put together and we’re missing the motor retainer. Would you by chance have one or have any thoughts on what to do to replace it? I’m also interested in getting another Blue Ninja rocket if you still have some. I’m sorry, but I’m not aware of where you can get a replacement. Estes is not likely to have the part, but you can try contacting them. Perhaps the best thing would be to describe your problem in one of the online forums such as The Rocketry Forum and see what advice the people there can offer.